Financial Regulation Matters: The Protracted Tesco Fraud Case Abandoned: Will the Serious Fraud Office Continue? The Protracted Tesco Fraud Case Abandoned: Will the Serious Fraud Office Continue? 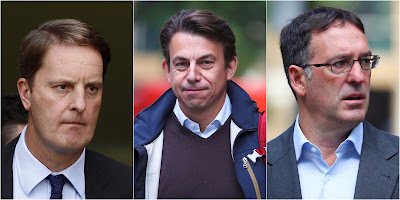 Today’s brief post looks at the fraud case concerning three Tesco Executives that has been rumbling on for months at great expense. 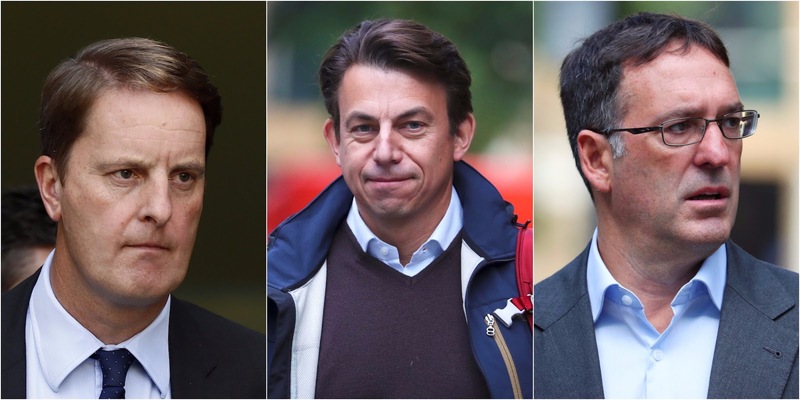 Today, there was a major development which raises the question as to whether the Serious Fraud Office (SFO) will continue its action against the three Executives, bearing in mind the many different factors that must now be taken into consideration; in this post, those factors will be laid before we assess whether it is (a) worth the SFO continuing its action and (b) what the effects of that decision, either way, may be. We have looked at this case before, albeit briefly, in Financial Regulation Matters when we looked at the decision of the Financial Reporting Council to discontinue investigations into PricewaterhouseCoopers (PwC) in the wake of the massive accounting scandal that saw the SFO fine Tesco £129 million for the accounting transgression. The current case is concerned with three individuals in particular – Carl Rogberg, John Scouler, and Christopher Bush – and charges against them consisting of fraud by abuse of position and one count of false accounting; today, after almost four months and on account of Rogberg suffering a heart attack last week, the presiding judge ruled that it would not be ‘right and proper’ to continue the trial in the wake of Rogberg’s illness. In dismissing the jury, Judge Taylor gave the SFO the option of continuing its action, with a potential re-trial date of September, setting a deadline of March 2nd for the SFO’s decision; Judge Taylor’s decision, which is surely the right one, is based upon the suggestion that the jury would have been influenced by these developments. Yet, in making this decision there are a number of elements which the SFO will no doubt be considering. One of the biggest issues is the sheer cost of the trial, particularly when paired to the development of the trial before its abandonment. It has been reported that the case has, so far, cost upwards of £10 million, and the protracted nature of the case so far will weigh heavily on the SFO’s decision making process; is the outlay of resources and time, particularly when one considers the uncertain nature of the outcome, really worth it for the SFO at the current time when it is fighting for its future? Predictably, Rogberg’s legal representatives have spoken of his dismay at the collapse of the trial and his subsequent inability to clear his name, whilst the same will probably said of the other two defendants who both plead ‘not guilty’ alongside Rogberg – Rogberg’s lawyer, for the record, had requested for the trial to continue in Rogberg’s absence. Nevertheless, the options facing the SFO are clear. The SFO must decide whether they are willing to place their head above the political parapet, because at the moment the SFO is under great political scrutiny because of the concerted campaign waged against it by the Prime Minister, as we have already discussed here in Financial Regulation Matters. There is a plausible exit for the SFO to take, if it so wishes, on account of the collapsing of the trial being put down to external and unforeseeable influences like Rogberg’s heart attack, the Judge falling ill when summing up, and issues with the jury; the question is can this failure to see through a prosecution really be laid at the feet of the SFO? Probably not, although some will try, is the likely answer, but the consequences for ordering a retrial and then failing will be massive for the SFO in its current predicament, so perhaps, regrettably, the SFO will have to take this loss on the chin and move forward. In its favour, this chain of events is unlikely to cast a lasting negative shadow over the work it does, because recently it has been successful on a number of fronts, and these successes can be championed as to why it should not be consumed into the National Crime Agency, as would be Theresa May’s wishes; the decision in March will be a big one for the future of the SFO, potentially. Keywords: Tesco, Fraud, Law, Business, Politics, Serious Fraud Office, @finregmatters.